Research In Motion (RIM) is constantly developing and testing new software and applications for your BlackBerry. Keeping up to date with the newest operating system (OS) software for your smartphone ensures that you have access to all the latest and greatest features and performance tweaks. In search of this, people have bricked there blackberry phones and lost data while trying to update, so I have put together this guide to walk you through the process. The latest or desired Blackberry OS for your device, to know the current version you are running, go to option on your home screen and click about, its in this format (7.1.0.746) . Check it out HERE. (note latest OS from other carriers for your same device can work on yours, will explain later). You need to have the latest Blackberry Desktop Manager software. Download it HERE. This is the most important information, before you continue, make sure to first backup your data using blackberry desktop manager, so you don’t lose any contact or data after the update process. To learn how to backup data on blackberry desktop manager, check out HOW TO BACKUP AND RESTORE BLACKBERRY DATA. First, you have to make sure you are running the latest blackberry Desktop manager. So run the latest blackberry desktop manger you have downloaded above to your PC. To check which version of Desktop Manager you currently have, you should launch the program via Windows Start menu > All Programs > BlackBerry > Desktop Manager. Then click the Help tab on the main screen and choose About BlackBerry Desktop Manager. The software version will be listed on the General tab. The next step here is to uninstall any previous version of blackberry OS you have on your PC and close all blackberry related application running. Then install the blackberry OS you have downloaded to your PC. If you have downloaded an OS which is not for your carrier but your choice of OS you have to do this: navigate to your PC’s Program Files > Common Files > Research In Motion > AppLoader and then delete the Vendor file, which is in XML format (Vendor.xml). if you don’t do that, you wouldn’t be able to install the Operating System. 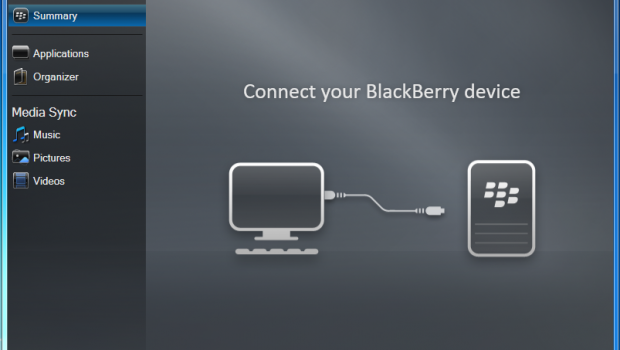 Here is the shortcut step I always use; connect your blackberry to the computer. (Wait a second, if blackberry desktop manager comes up, just make sure to close it completely). make sure all applications related to blackberry are closed, explore to the folder: C:\Program Files\Common Files\Research In Motion\AppLoader\ or for 64-bit computers, the file is in C:\Program Files (x86)\Common Files\Research In Motion\AppLoader. After the device configuration has been retrieved, you will be on the Device Application Selection page. You may scroll through the list to ensure all the applications you want are selected. You can also de-select any applications you don’t use to save space. Click Next. On the next page, click on the Advanced button. Ensure that both boxes (Delete all application data and Delete all currently installed applications) are checked. Click Next. Proceed with the OS reinstall. Note that this process may take 10-30 minutes (usually ~10 minutes). Do not disconnect the device. Once the process is done, do a battery pull for a restart and you are done.